Honor will introduce at least three new phones in the coming months. 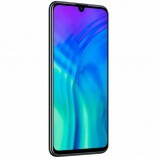 Along with the flagship Honor 20 and Honor 20 Pro, we will also be treated to a lite version dubbed Honor 20 lite. The phone just appeared in a massive leak, including images and fairly detailed specifications. 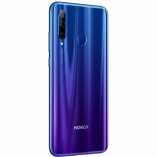 The appearance will follow Huawei’s latest design language seen in the P30 lite and nova 4e with a 6.21-inch FHD+ waterdrop notch display with a 32MP selfie cam. There's a triple camera on the glass back with 24MP main, 8MP ultrawide, and 2MP depth sensors. There is a flash below the cameras and a fingerprint sensor next to it, so the lite version will clearly skip the under-display action. 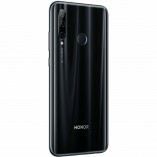 The Honor 20 lite will pack a Kirin 710 with 4GB RAM and 128GB storage, expandable via the microSD slot. You'll be getting a 3.5mm jack (yay!) and a dated microUSB port (boo!). The battery is 3,400 mAh but there is no word on fast charger support. The phone will run on EMUI 9 built on top of Android Pie. 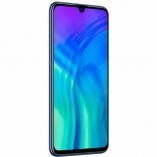 The Honor 20 lite will come in Black and Aurora Blue with other colors expected to be announced at the launch event. The price tag is expected to be around €280 in Europe. Why do all Kirin 710 phones have a micro usb port?